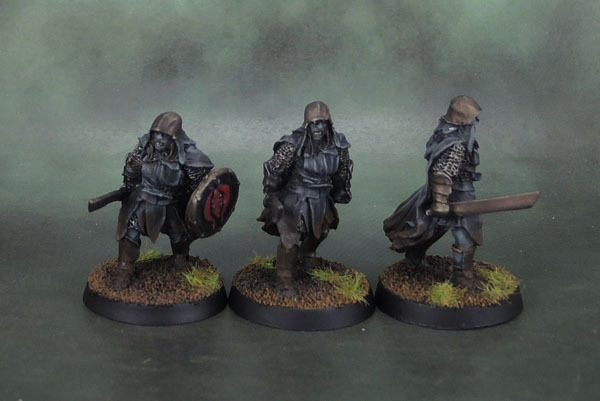 Mordor Black Uruk-Hai – Lord of the Rings: SBG (Squad: March ’18) | Azazel's Bitz Box. This entry was posted in Mordor and tagged Black Uruks, Lord of the Rings, LotR SBG, Mordor Uruks, Strategy Battle Game, Uruk-Hai. Bookmark the permalink. Brilliant work. I especially love the shields – I still have some of those old ME-44 Uruk-Hai and it’s great to see bits of them being used today. 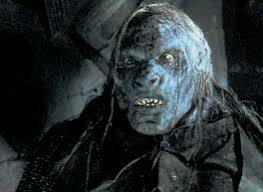 Yep, Black Uruks from Mordor wearing black! Thanks Alex. The poses being so limited is a constant problem with the LotR range, so anything that works to make it less obvious needs to be done. Unfortunately with Black Uruls, you can’t just vary the clothing as you can with some others. Thanks mate. 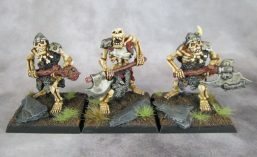 They’re one of those units that had a period where they sucked to paint, but in the end they’ve worked out well. I can see you put a lot of work into these. In the pics though, the color of the faces look very similar to their clothes. I tried to zoom in, but no luck. I’m guessing they look even more impressive in person. 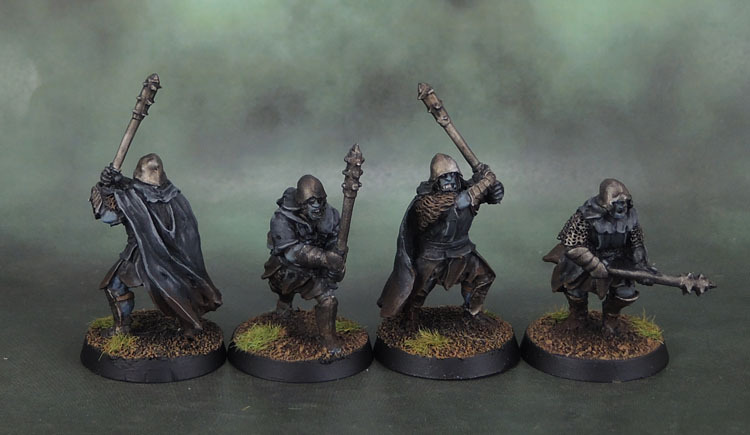 The cloaks and everything definitely look great. No worries – their helmets probably make a difference as well, since it cuts down further on how much face-skin you can easily see. Thanks Mark! It took a bit of futzing around to work out how I’d try to do it, but I’m glad it worked. 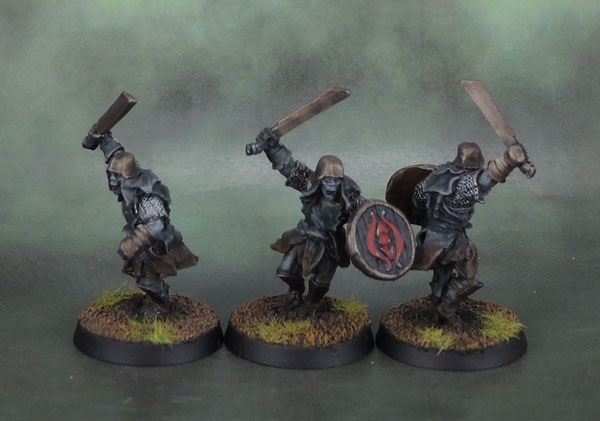 Pingback: April 2018 Painting Round-Up | Azazel's Bitz Box.